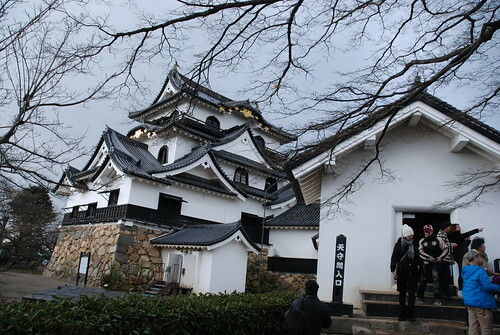 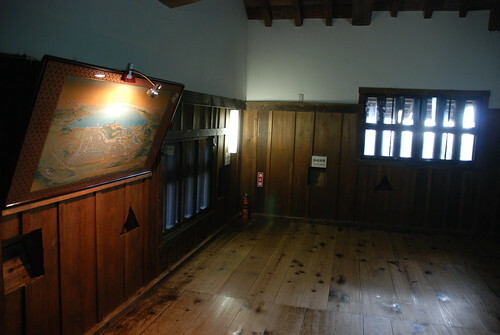 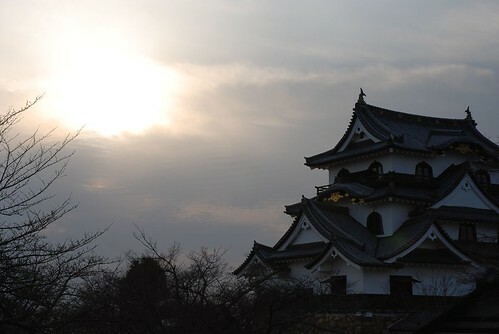 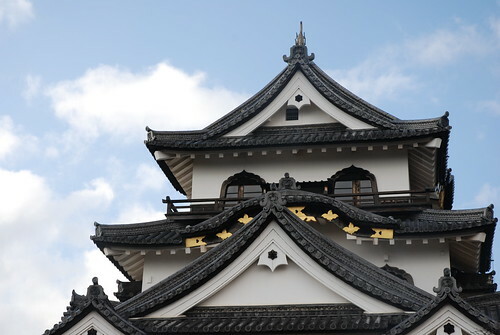 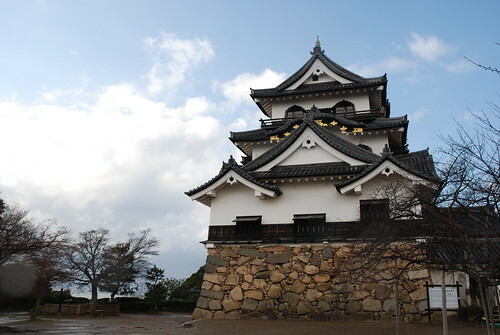 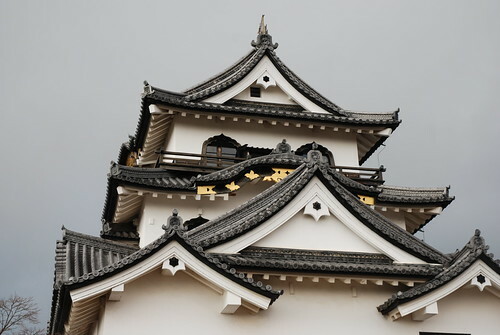 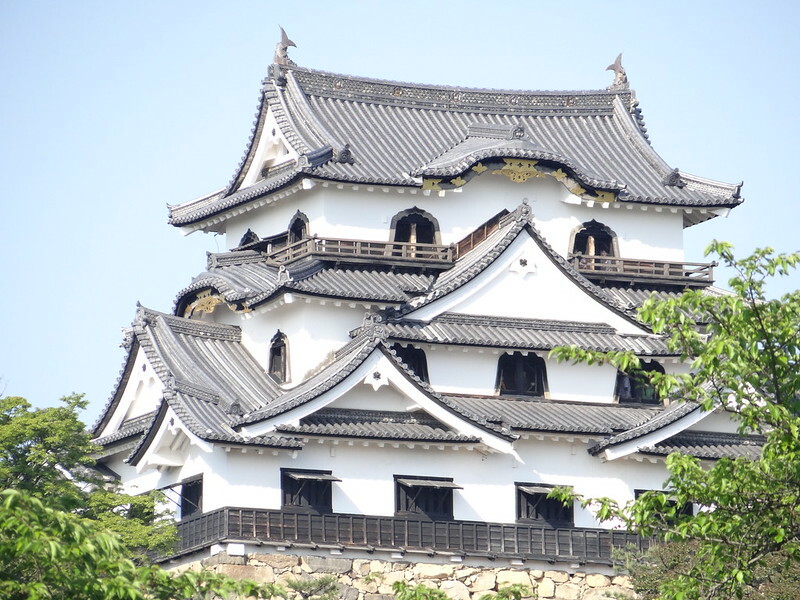 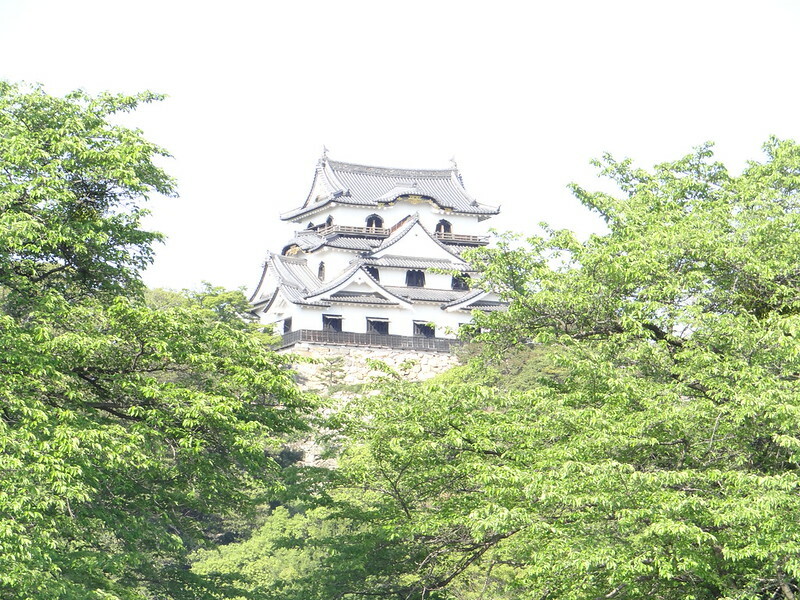 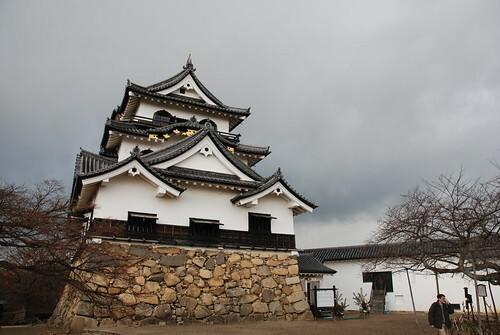 There were Ohiroma-hall, Hozo-libraries, Yagura-turrets, Tsukimi Yagura-turret and so on around the Tenshu-main tower. 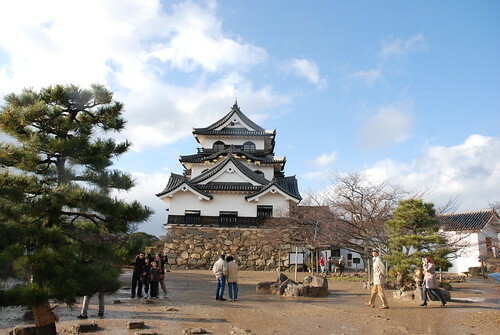 With the exception of the main tower, these buildings were demolished at the beginning of the 1870s. 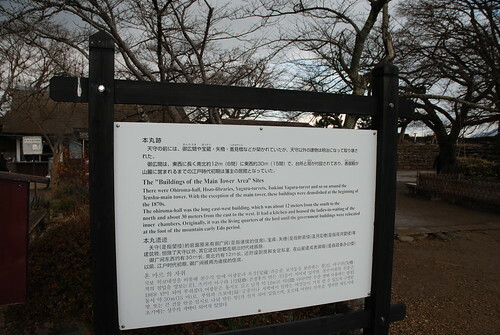 The ohiroma-hall was the long east-west building, which was about 12 meters from the south to the north and about 30 meters from the east to the west. 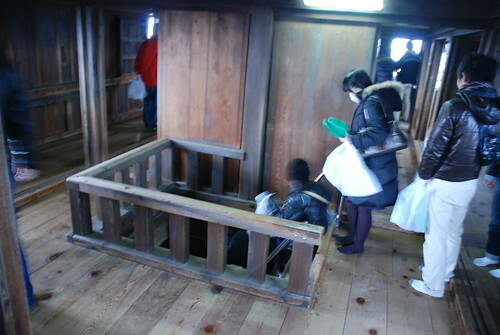 It had a kitchen and housed the ladies-in-waiting of the inner chambers. 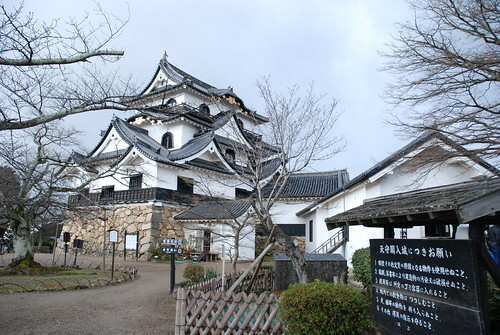 Originally, it was the living quarters of the lord until the gobernment buildings were relocated at the foot of the mountain early Edo period.